Three Palisades residents (left to right) Scott and Tyler Heineman and Wade Clement organized and participated in a sports fundraiser. The concept is simple. “Coaches” (high school athletes) mentor “players” (children with disabilities) as they compete on soccer, basketball, volleyball and flag football teams. 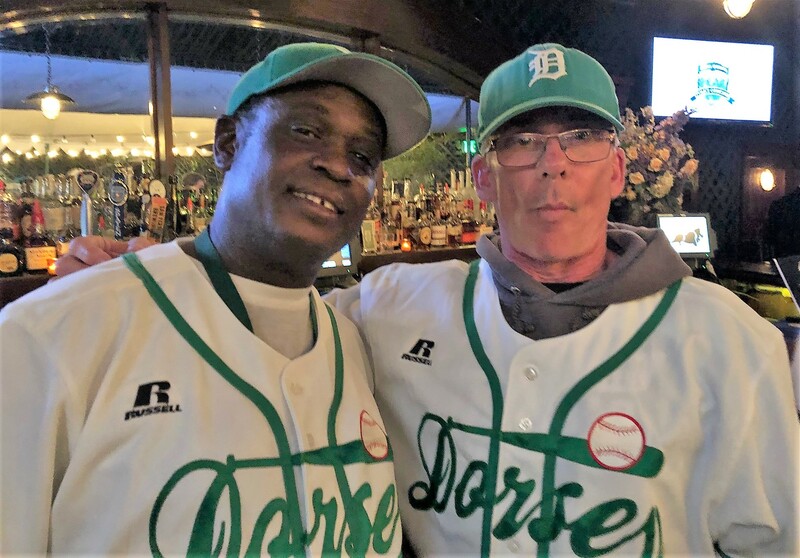 “There are over two million kids with special needs across the county who still don’t have a chance to play high school sports,” is the message from Team Prime Time Sports, which in 2012 started the coach/player program in two schools. Seven years later, 29 schools in the Los Angeles area have instituted the successful model and Prime Time would like the program to expand. 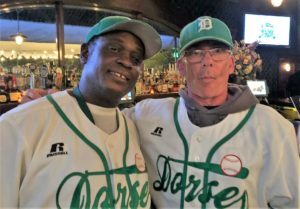 Dorsey Coaches Peter Dobson (left) and Peter Burns help recruit varsity players to act as coaches for students with special needs. The start-up cost is about $7,500 to cover uniforms, equipment, transportation and the salary of the [school’s] head coach. After the first season it’s $5,000 per school and the cost is about $150 to $250 per student—up to 32 students can participate. Where does money come from to keep this program financed? Enter Palisadian Wade Clement, who graduated from Duke in 2016 and started working with the nonprofit Team Prime Time as a program manager. Steve Heineman, who serves on the Team Prime Time board and is a retired Santa Monica Police officer invited SM Chief of Police Cynthia Renaud. 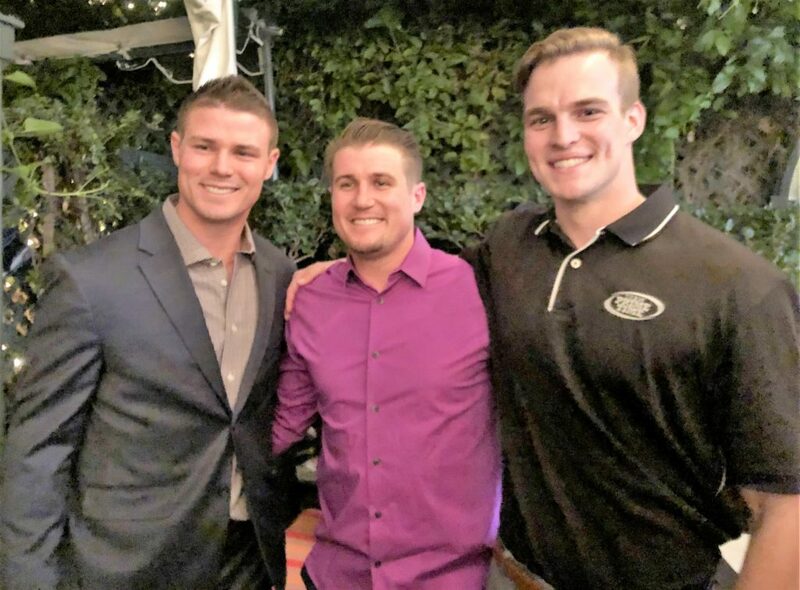 Clement has just finished his first successful fundraising event– “Primetime Charity Casino Classic,” thanks to help from three other Palisadians: Steve Heineman (Social Bluebook) and sons Scott and Tyler, who are professional minor league baseball players. The fundraiser, held at the Buffalo Club in Santa Monica, featured poker, casino games and silent auction items centered around sports, such as an on-field batting practice with the Milwaukee Brewers, and tickets to a game in Ryan Braun’s family/friends’ section, plus a personalized signed bat. (Ryan Braun was the National League home run leader (2012) and National League Rookie of the Year (2007). 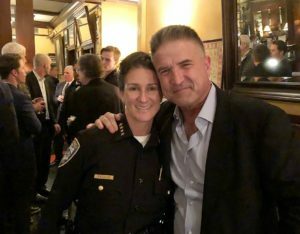 “Given the enthusiastic support generated before, during and after this event, we absolutely anticipate the Prime Time Charity Casino Classic to become an annual event,” Clement said. About 180 people participated in the event. 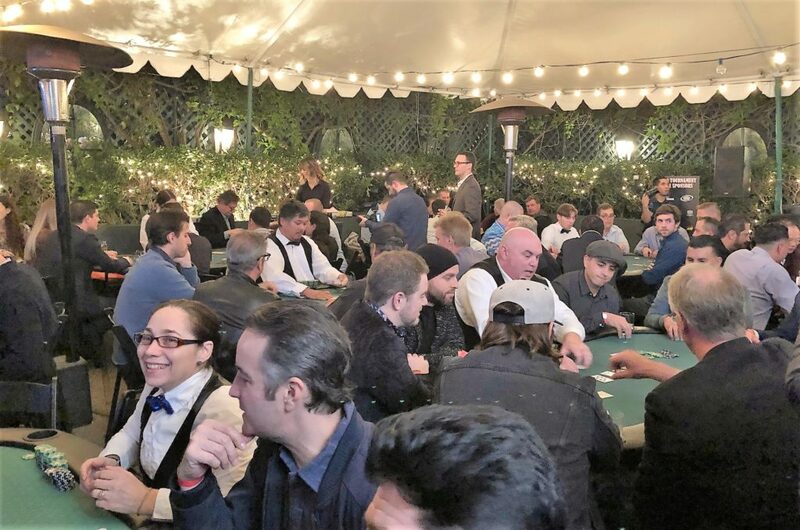 People played poker at the Team Prime Time fundraiser.